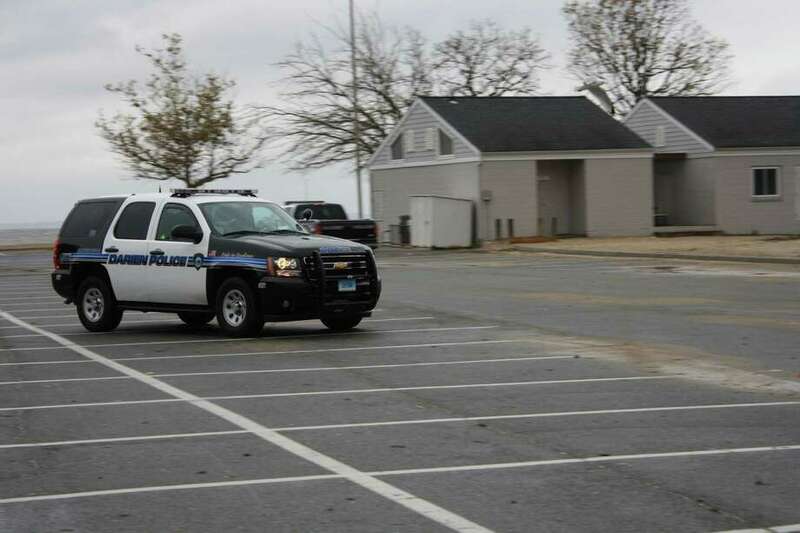 Darien Police patrol around Pear Tree Point Beach during the beginning of Hurricane Sandy. Oct. 29, 2012. Darien has about 13 percent of the town without power and 12 completely closed roads, according to First Selectman Jayme Stevenson. Stevenson said the power outages aren't "particularly widespread at this point," but that the winds have picked up where it would be unsafe to send CL&P and public works crews out to fix the problems. "We're not responding at this time due to the unsafe conditions of our workers," Stevenson said. The Emergency Operations Center is trying to get confirmation on whether or not Darien can expect not only 11-foot, higher-than-normal high tide, but also a shift in the wind that will be pushing the waves on shore. "We are certainly very concerned in watching closely the weather conditions as they're beginning to change into the next high tide cycle," Stevenson said. She said everyone at the emergency operations center is focused on the task at hand. "Undoubtedly, it's going to be a very long night," Stevenson said. About 50 people are camped out in the shelter at Darien High School, as of about 5 p.m., and Stevenson said she expects more to arrive. Stevenson said that if people are going to make that decision, she hopes they make it sooner rather than later. "We want them to make that decision so they're not on the road when the storm is the worst in the next 12 hours," Stevenson said. Throughout Darien there are about 20 situations that involve downed wires, and there have been a number of streets closed due to flooding, according to Stevenson. "Incidents are coming in steady," Stevenson said, adding that it was disheartening that the winds were disabling the town crews from being out there and remedying the situations.